During your initial consultation, we will examine the health of your gums and other teeth to evaluate if you are a candidate for a dental bridge. You will then be given a local anesthetic, after which we will prepare the teeth required to support the bridge. If the support teeth are badly broken down or decayed, we may have to build them up before they can be used as support teeth for the bridge. We will make an impression of the prepared teeth. Your bridge will be fabricated on this cast by our skilled dental technologists so that it precisely fits the prepared teeth. While your bridge is being fabricated, you will be fitted with a temporary bridge so the teeth and gums can be protected from damage until the permanent bridge is made. The dental bridge treatment will be completed during a second visit to our office. The bridge will be fitted and cemented. We offer conventional metal based ceramic bridges as well as non-metal based, all-ceramic crowns that are customized to your mouth. 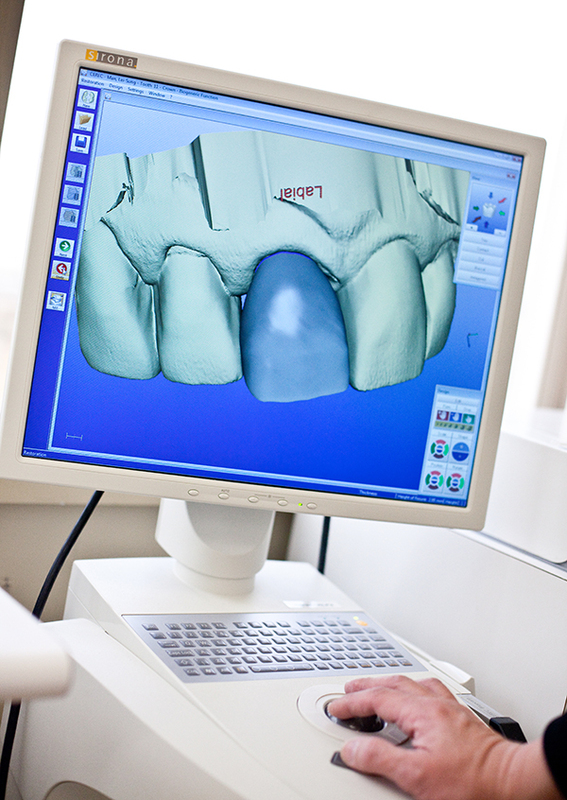 With CEREC, your procedure is done in a single appointment, start to finish. CEREC (Chairside Economical Restoration of Esthetic Ceramics, or CEramic REConstruction) is a dental restoration product that allows a dental practitioner to produce an indirect ceramic dental restoration using a variety of computer assisted technologies, including 3D photography and CAD/CAM. 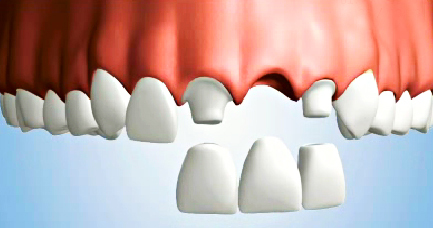 With CEREC, teeth can be restored in a single sitting with the patient, rather than the multiple sittings required with earlier techniques. Additionally, with the latest software and hardware updates, crowns, veneers, onlays and inlays can be prepared, using different types of ceramic material. These materials match the composition of natural tooth structure. This means when hot food or cold drinks are consumed the restoration and tooth expand and contract at almost equal rates. Also, the materials are chemically bonded to your tooth, so the dentist can save as much healthy tooth tissue as possible while providing you with a dental restoration that strengthens your tooth. If you’ve lost some, or all, of your natural teeth, dentures can replace your missing teeth and your smile. Dentures (more commonly known as false teeth) are prosthetic devices constructed to replace missing teeth, and which are supported by surrounding soft and hard tissues of the oral cavity. Conventional dentures are removable, however there are many different denture designs, some which rely on bonding or clasping onto teeth or dental implants. Replacing missing teeth will benefit your appearance and your health. Without support from the denture, facial muscles sag, making a person look older. There are various types of dentures. A partial denture is a removable dental appliance that replaces multiple missing teeth. It can be attached to the teeth with clasps (clasp or conventional partial) or it can be attached to the teeth with crowns with precision attachments (hidden clasps). 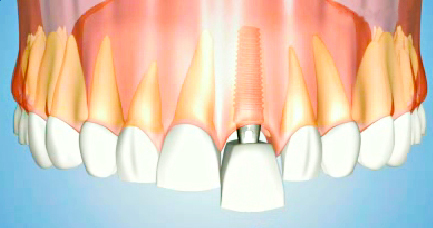 Both types have a metal framework and plastic teeth and gum areas. 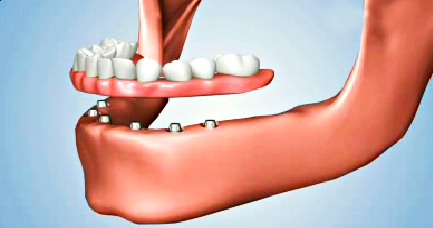 A fixed denture replacement solution consists of a dental implant bridge (sometimes called permanent dentures) that is supported by four or more dental implants. By using dental implants to secure the permanent dentures, the need for denture adhesive is a thing of the past. Because the dental implants function like the natural roots, the permanent dentures will feel very much like your natural teeth did. While there are a variety of consumer teeth whitening products available on the market today – many touting themselves “instant whiteners” – results vary great for each individual. For best results (obtaining the whitest smile possible, even colouration, and other factors), whitening should be undertaken by specialists. There are two main methods of whitening. The first method is in-office, and involves applying a high concentration of whitening agent for a short period of time. A light-cured protective barrier is carefully painted on the gums and papilla (the tips of the gums between the teeth) to ensure the bleaching agent only reacts with teeth, and keeps the gums and papilla untouched. This in office method takes about 1.5 hours and can produce immediate results. The other method involves using a thin mouthguard or strip to hold a low concentration of whitening agent next to the teeth for as long as several hours per day for a period of 5 to 14 days. This process is slower, although quite effective. In a consultation, we’ll discuss which option is best suited to you. In fact there are times when we use both options in combination to maximize the effect. Veneers are very thin shells of porcelain that attach to the front of teeth to improve the overall appearance of teeth that are worn, chipped, misaligned, stained or otherwise discolored. 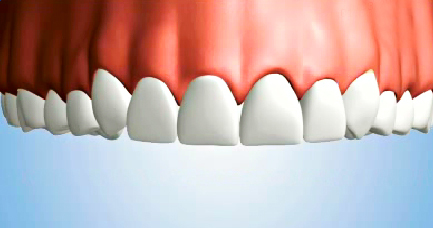 Porcelain veneers are basically very thin “false fronts” for your teeth. They are custom created based on a mold of your mouth and teeth, then they are attached to your teeth using a high-strength dental bonding agent. The new porcelain veneer will look quite natural and white. Porcelain veneers are very strong, and they are very adept at resisting staining. The procedure generally is done in two visits: the first to lightly prepare the teeth and make the impressions; and the second to apply the custom created veneers. A third visit is also usually scheduled a week after the procedure to evaluate the placement, perform minor adjustments and answer any questions you may have. Our on-site laboratory technicians help customize each and every case, thus achieving the most esthetic and natural outcome.